By shipbuilder, Hyundai Heavy Industries Co., the world's top shipyard, has clinched deals to build 25 LNG ships this year. 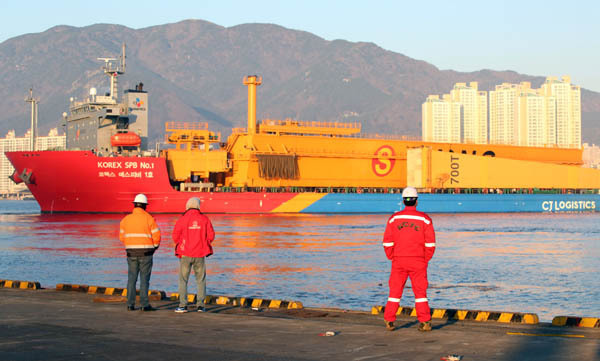 The comparable figures for Samsung Heavy Industries Co. and Daewoo Shipbuilding & Marine Engineering Co. are 14 and 17. Driven by such a sharp rise in new LNG ship orders, the country's major shipbuilders have almost met their annual order target for the year. Hyundai Heavy has bagged orders valued at a combined $13.4 billion, already surpassing this year's order target of $13.2 billion.